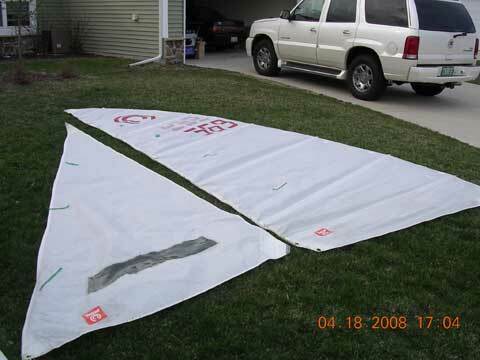 Sail Area: 128 sq. ft. I am the 3rd owner. 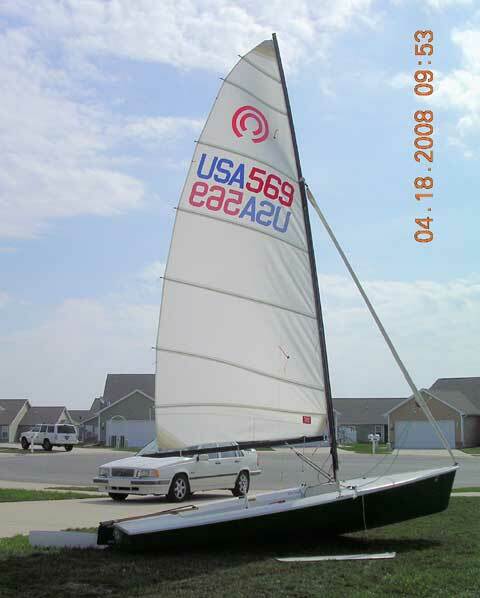 The boat has been sailed freshwater--summers only since 1980. It has been stored indoors and is in good condition. The hull was painted with a two-part epoxy by the first owner (dark green). The hull has some minor scratches and wear from beaching. There are two sets of sails with battens. One set is in good condition, the other in fair condition (holes that are repaired). All rigging and lines are in good shape. Foils are good with minor nicks and scrapes. The boat has new tiller extension and thru-hull bailer. 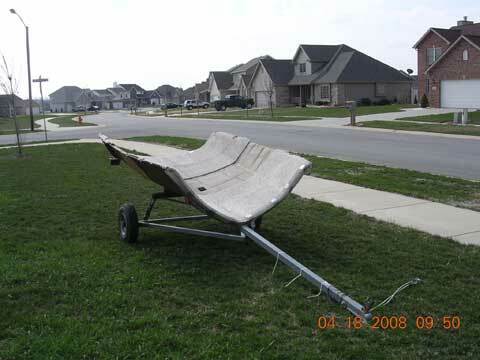 The trailer is a custom made cradle trailer that performs exceptionally well--a bit funny looking though. It has been titled in Indiana and is good through March 2009. 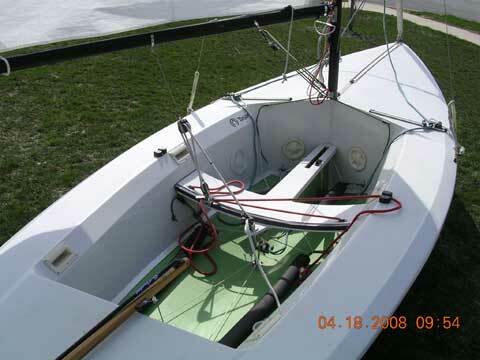 This is a fast boat that sails extremely well. 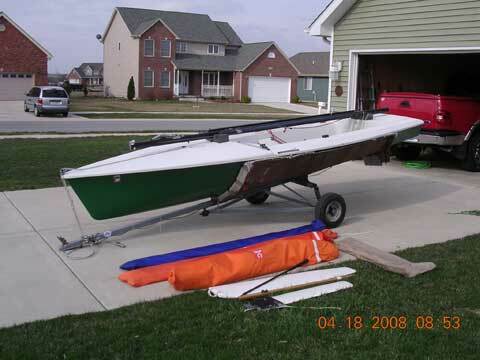 The rig is manageable but produces great power with the rotating mast and fully battened main. 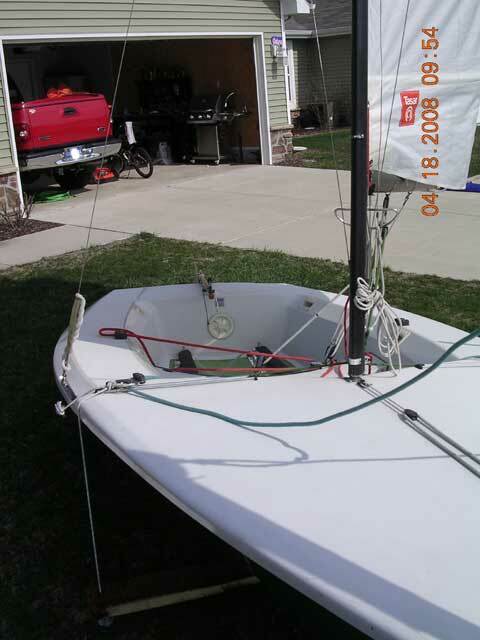 The roller furling jib makes depowering the boat quite simple. Thank you for your site and your effort on my behalf. The Tasar sold today for $1075.00.